If I Were An Elephant Trainer…. If I were an elephant trainer, I would definitely want my elephant and I to have matching outfits! Let me show you how I tackled his pants. As you can see from the pattern, this is another one of those really dicey curves. By now you know that I will find an easier way to stitch it! First, I drew a line. Now I have two pieces that are very easy to stitch, instead of one piece that will probably make me swear…a lot! So here are the prepped pieces from the wrong side. You can see that I left one of the pieces un-prepped at the seam line. And here are the pieces from the right side. Could it get any easier? Before I could stitch the pants in place, I had to pick out some shoes for the trainer. I chose some pretty fancy shoes! Now…on to the exciting part! This block is the very last block of The Civil War Bride Quilt. I can stitch the last (!) row together. And, finally! Here are all the blocks! Drum roll, please! « A Sharply Dressed Elephant! Wow what a beauty and the workmanship is amazing! Just Wow! Watching you make each block of your quilt has truly been an inspiration for me in stitching mine! Congratulations – but now that you’ve finished the blocks aren’t you just a wee bit sad? I can’t wait to see what you do on the borders. Thank you for sharing your blocks and so many useful tips! I am a huge fan of yours! A wee bit sad? I have been moping around for days and finally figured it out! In fact I was going to write about it my next post. I feel like I am coming to the end of a good book, and I never want it to end. I am looking forward to starting the borders, but I am sure I will be a basket case by the time I finish this quilt! Thanks for the great comments, Becky! 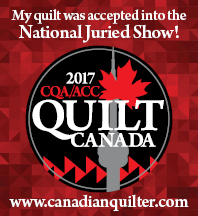 I noticed you have a link to Grandmother’s Choice – I am Barbara’s test sewer and had so much fun making the two quilts. I always feel a little sad at completing any quilt that I have loved making. I am now on black 5 of my CWB quilt – SO much fun and it is not as difficult as some may think, especially with all the great information you have shared. now that I have finished all the blocks, I am going to dig it out and start working on it! Very impressed that you are Barbara’s test sewer! Quite an honour! Have been enjoying your progress. It’s beautiful! Looking wonderful ! I never tire of seeing this lovely pattern . Great fabric choices for your delightful elephant block. Very inspiring. I have the pattern and maybe some day. I like your tip about the pants curve. Your quilt is beautiful!! You amaze me with your approach to tackling the difficult blocks. I was reading the book A Bountiful Life, they said it wasn’t quilted because it was a summer spread. What is your thoughts about that? Will you quilt yours? I am trying to get my nerve up to buy it but am still nervous about the patterns. I guess I don’t have the confidence I need to make it. I’m going to be prepping my first appliqué block for stitching tonight. I’m so excited after your excellent instruction! beautiful , wow. I really enjoy seeing each blocks progress, thanks for sharing. I love the tips, ok his shoes are adorable. looks like you have fun choosing the fabrics for each block. looking forward to watching the borders grow! Kerry, Congratulations on completing all the blocks. I am quite a bit behind you.. but enjoying the journey. Thanks for the tips on some of those impossible curves and tight seam allowances. Beautiful work! The blocks look wonderful together. It is a little sad to be done with them, it is hard to find another project that holds your interest in the same way as the Civil War Bride. As always your sharing of the process is both educational and fun. Love how it turned out! Your quilt is a work of art! Just beautiful! Awesome! Just beautiful. How talented to be able to produce something so incredible. Look forward to see what’s next.